I just found out that Governor Northam vetoed the one life-saving measure to pass through the Virginia legislature in the 2019 session. First, thank you to all those who have put me in a position to fight for innocent life. My budget amendment prohibits taxpayer funding of abortions which target not just any helpless baby, but specifically babies who MAY have a disability. I was thrilled when it passed the House and Senate, as Virginia taxpayers have been paying for about 25 of these abortions each year. Democrats are pushing another set of policies which harm everyone, especially low-income families. Some would have us believe, that without sweeping, costly changes to how we live our everyday lives, we will not survive. These are the schemes of climate alarmists.While fear may be a strong motivator, truth is the enemy of the climate alarmist scheme. Several Democrat Delegates promoted a Virginia version of the Green New Deal. Republicans defeated it. My friend, Del. Charles Poindexter, passed two bills which I co-patroned to block Gov. 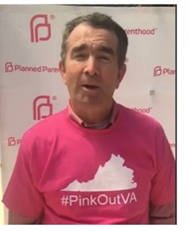 Northam from wasting taxpayer dollars by dragging Virginia into horrible agreements with liberal Northeastern states. Gov. Northam vetoed those bills. How do we get to the point where elected officials are promoting repulsive acts such as infanticide? How could a young mother introduce and advocate for legislation removing restrictions on abortion up until a baby is being born? Are we so close to the tipping point where we cannot pull back from the destructive, extremist, illogical push into socialism? 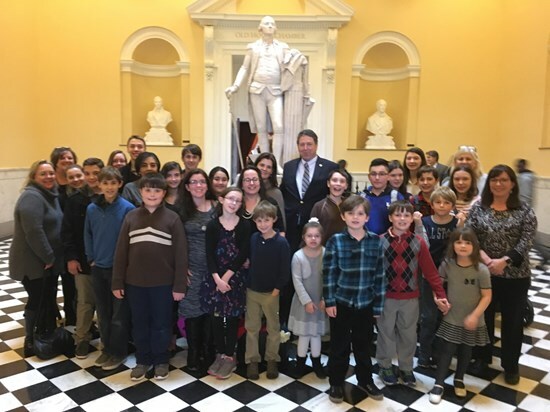 The 2019 General Assembly session is entering its final week! It’s hard to believe the session is almost over, but let me say it has been an honor once again serving you in the House of Delegates. Even though it's our last week, we still have a lot to do. There are have hundreds of bills to vote on and send to the Governor’s desk, plus conferees are making final adjustments to the budget.